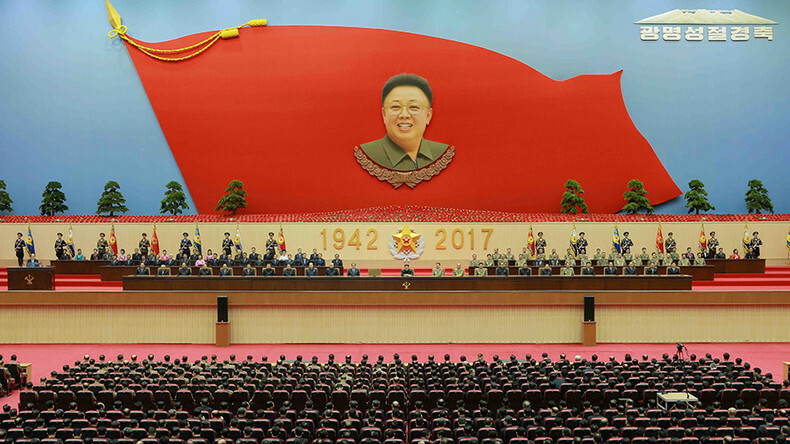 North Koreans are taking part in events to mark what would have been the 75th birthday of former leader Kim Jong-il. Thousands of people gathered in the capital Pyongyang to pay respects at his statue and attend an exhibition in his honor. Mass dances, treats for children and a fireworks display were some of the events held to commemorate the former leader, who died in 2011. North Koreans pay customary respects to their leaders on all major holidays and anniversaries. People reportedly gathered at Kim Jong-il’s statue in Pyongyang all day long to pay respects to the former leader, who was succeeded by his son Kim Jong-un. The current leader’s half-brother and son of Kim Jong-il, Kim Jong-nam, was killed in Malaysia earlier this. News of his death has not been broadcast in North Korea, who the US suspect was involved in his death. A fireworks display in the capital was also attended by thousands of North Koreans, eager to be seen paying respect to Kim Jong-il. In the crowd watching tonight's fireworks in Pyongyang. The former leader is revered in the secretive state where his biography reportedly details questionable incidents in his life, including that he shot five holes-in-one when playing golf for the first time, wrote 1,500 books while at college and was able to alter the weather with his mind.